The core of his teaching is how to sustainably deliver products and services that satisfy customers. The conditions for customer satisfaction are set up in the boardroom. Think about that for a moment. What Deming is saying is that it is good management that enables an organisation to deliver good quality products or services to customers, which is the key to economic survival and growth. And his reference to theory is actually highly practical, since theory is a proven understanding of why things work the way they do. Whilst Deming became a noted academic, author and teacher, his early life was hard. He came from an educated family. His father was a businessman, highly regarded for his skill with contract law, while his mother was a piano teacher. W E Deming was born in Sioux City Iowa in 1900. Between 1908 and 1912 he lived in Powell, Wyoming, in a tarpaper shack on a forty-acre homestead. In many ways this still was the Wild West. Young Deming had to work his way through elementary school, university and eventually his PhD, sometimes doing the most menial jobs. This led to him being frugal and hating waste. 1927 was the year when Deming met Dr Walter A Shewhart, who had pioneered statistical methods in quality. 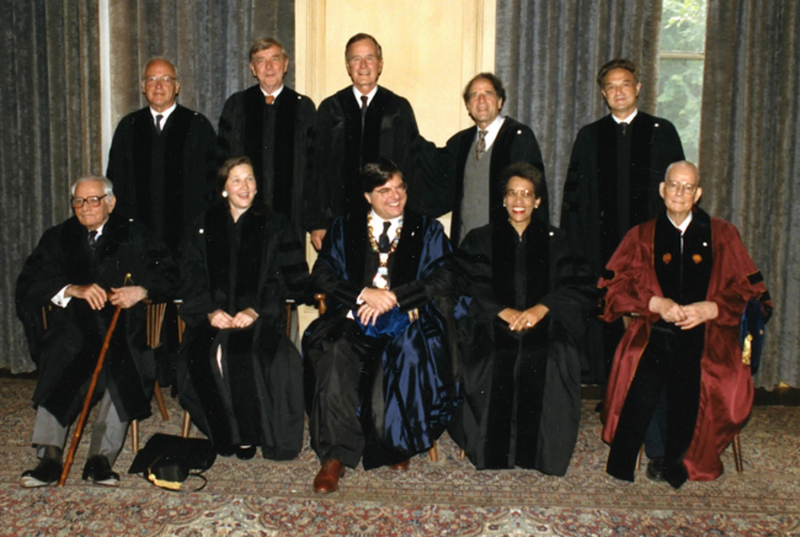 His work with Shewhart provided the foundation for the contributions he went on to make in leadership, management and of course quality. In 1939, he started working with the US National Bureau of the Census, preparing for the 1940 Population Census. 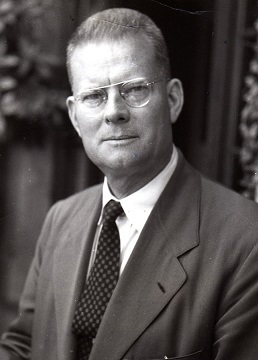 Using Shewhart’s methods, Deming improved and brought stability to the administrative processes in the organisation, which resulted in a huge increase in quality and productivity. In some areas productivity increased six-fold! In 1942, Deming was asked to teach Shewhart’s applied statistics to inspectors, engineers and technicians in American factories, to support the war effort. The use of statistical methods on work processes resulted in enormous reductions in rework and scrap. Sadly, after World War 2 American manufacturing, faced with a booming seller’s market and virtually no competition, did not see the necessity of continuing with these methods. 1950 was one of the most significant milestones as it was the beginning of Deming’s work in Japan. According to Henry Neave and his book The Deming Dimension, in that first year Deming spent in Japan, he taught statistical methods to 225 people in Tokyo, 85 in Hakata, 110 in Fukuoka and 150 in Osaka. This teaching was the foundation of the Japanese economic miracle in the 1950s and ‘60s. Deming was, however, deeply concerned that, in America, management was abandoning the use of statistical methods in quality. There was, he felt, the danger that the same might happen in Japan and he sought ways to prevent it. With the help of Ichiro Ishikawa, President of JUSE (the Union of Japanese Scientists and Engineers), he met with members of the Ken-dan-ren, the association of Japanese chief executives. On 13 July he met with the heads of the 21 most important companies at Mount Hakone Conference Centre, representing more than 75% of the corporate wealth of Japan. 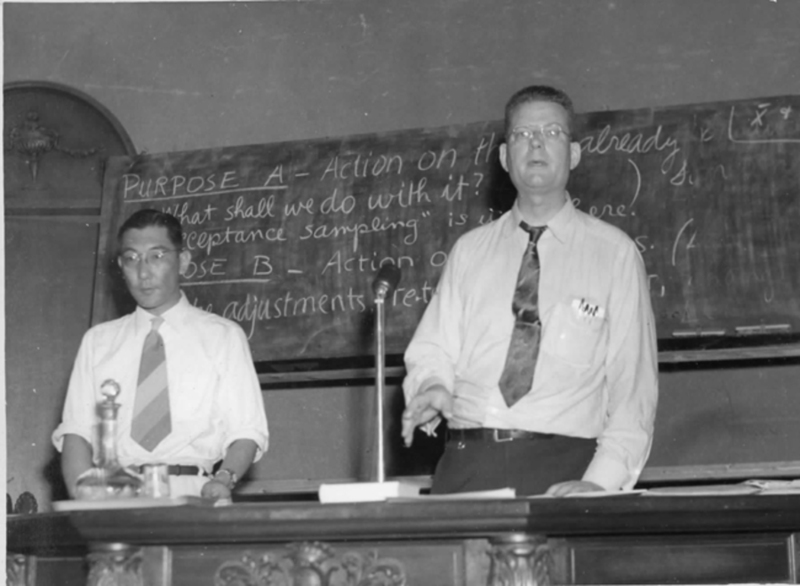 Instead of continuing to give detailed lectures on statistical methods, Deming began to focus on the problems of manufacturing and sales, and the statistical methods that could help solve those problems. A very important point he used to make was that organisation leaders had to be the ones taking the first steps in applying statistical methods. They must show enthusiasm for product quality and uniformity and see themselves as responsible for quality. He spoke to about 100 senior managers over the course of 1951. He returned the following year to speak to a further 400. He would take no remuneration for this, so the funds raised were used for the Annual Deming Prize for Quality. Deming returned many times to Japan in the following years. 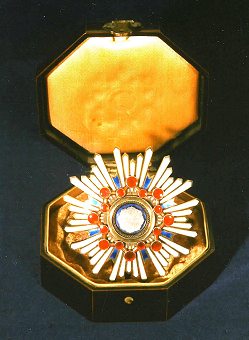 Such was the impact of his work on Japanese quality and productivity that in 1960 he was awarded Second Order Medal of the Sacred Treasure by the Emperor. 1980 was the year everything began to change in America. Thirty years after Deming started working with the Japanese, American management woke up to the importance of what he was saying about quality and especially about applying statistical methods to improve work processes. It had begun in 1979 when William E Conway, then President of Nashua Corporation in New Hampshire, suddenly realised how influential Deming had become in Japan. Conway invited Deming to work with him to improve quality and performance in Nashua. This eventually led in 1980 to the US public service TV programme "If Japan Can, Why Can't We?" featuring Deming’s work in Japan. After this it is said his telephone never stopped ringing with desperate American businesses pleading for his help. The first of his famous public four-day seminars was run in 1980. In subsequent years, thousands of people attended these seminars across the world. He went on running them until shortly before his death. Deming was a multifaceted man. Statistician, mathematical physicist knowledgeable about psychology, academic, author, teacher and mentor to chief executives. A highly moral man, he showed great respect to others, notably in post-War Japan, when this was not always the case for Americans. Although he was known to give short answers to what he deemed ill-thought-out questions, thus acquiring a reputation for not suffering fools gladly, ultimately he was a family man, very human, kind and with a sense of humour. He started his four-day seminars with the question, “Why are we here?”. And answered it: “We are here to learn, to make a difference and to have fun.” We hope that the Deming Alliance and this website will do that for you too.